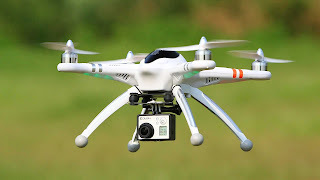 DAYTONA BEACH, Fla. - The Federal Aviation Administration projects between 2016 and 2020 that sales of small, hobbyist unmanned aircraft systems and sales of UAS for commercial purposes are expected to grow from 2.5 million to 7 million. Four Embry-Riddle Aeronautical University professors have written a guide to help enthusiasts better understand the booming field. The Small Unmanned Aircraft Systems (UAS) Guide includes everything from the history and various designs and technology to common uses, safety practices and challenges facing unmanned aviation. Weighing less than 55 pounds, small unmanned aircraft systems (sUAS), commonly know as “drones,” have already become the most prevalent and affordable form of unmanned aircraft available, with applications for business, military and recreation. Already a $4.5 billion industry worldwide (Gartner), industry estimates project more than 100,000 new jobs in unmanned aircraft will be needed in the next 10 years, generating more than $82 billion for the U.S. economy. The Small Unmanned Aircraft Systems Guide was an Embry-Riddle community effort, Terwilliger said, with review, advice and recommendations from colleagues across all three Embry-Riddle campuses in Daytona Beach, Prescott, Ariz., and Worldwide. In addition to Terwilliger, co-authors include Dr. John Robbins, associate professor of Aeronautical Science and program coordinator for UAS at Embry-Riddle’s Daytona Beach campus; and Dr. David Ison, research chair and associate professor of Aeronautics, and Dr. Dennis Vincenzi, assistant professor of Aeronautics and chair of the Department of Aeronautics, Undergraduate Studies, both at Embry-Riddle’s Worldwide Campus. Professors are using the Small Unmanned Aircraft Systems Guide in several classes, including Unmanned Aircraft Systems courses on the Daytona Beach and Prescott campuses; in the Gaetz Aerospace Institute where high school students earn college-credit courses; in the Unmanned Aerospace Systems Worldwide Campus course; and in the Professional Program in Small Unmanned Aircraft Systems at the Daytona Beach and Worldwide campuses. Vincenzi said the UAS industry is extremely dynamic, with the technology and regulations evolving very rapidly. The new book comes after an Embry-Riddle research team last year released a guide on small unmanned aircraft systems for consumers. Embry-Riddle has been a leader in the industry of small unmanned aircraft systems as one of the first schools in the nation to offer a degree in UAS in 2011 following a minor in 2009. Embry-Riddle now has the largest and most comprehensive UAS program in the country, with numerous bachelor’s and master’s degree opportunities throughout its campuses, as well as professional educational options. Degrees include a Bachelor of Science in Unmanned Aircraft Systems at the Prescott and Daytona Beach campuses and a Master of Science in Unmanned and Autonomous Systems Engineering at the Daytona Beach Campus. The Worldwide Campus offers a Bachelor of Science in Unmanned Systems Applications and Master of Science in Unmanned Systems; an undergraduate minor in Unmanned Aerial Systems; a graduate UAS specialization, and professional sUAS education opportunities. 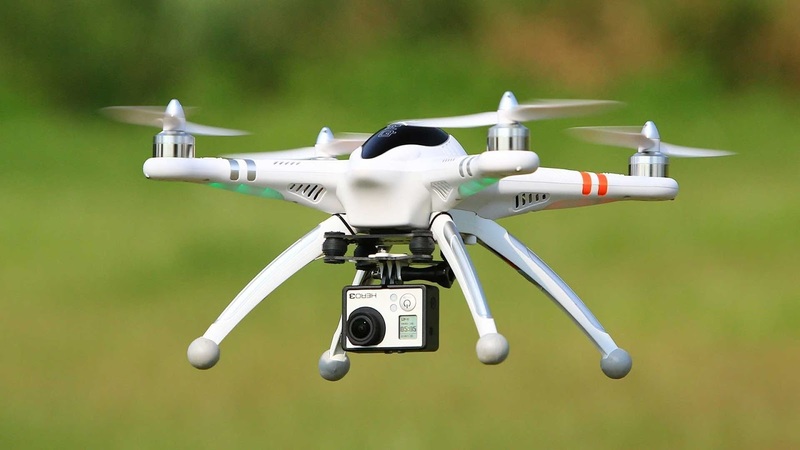 All three campuses offer a minor in Unmanned Aircraft Systems. Faculty and students from the three campuses also collaborate on research, including recently establishing a U.S. Federal Aviation Administration UAS Center of Excellence at Embry-Riddle called ASSURE ( Alliance for System Safety of UAS through Research Excellence). High school students across Florida are also getting hands-on training in sUAS through dual enrollment courses taught by Embry-Riddle adjunct professors through the university’s Gaetz Aerospace Institute. The Daytona Beach Police Department also this year launched a new aviation program in collaboration with Embry-Riddle’s Worldwide and Daytona Beach campuses to use sUAS to help Daytona Beach police officers and firefighters assess hazardous areas following hurricanes or other disasters. Professors from the Daytona Beach Campus worked with police officers following Hurricane Irma and are also helping the police department develop policies and procedures on using unmanned aircraft systems. Media Contact: Deborah Circelli, Communications Specialist, Embry-Riddle Aeronautical University,600 S. Clyde Morris Blvd., Daytona Beach, Fla.; Deborah.Circelli@erau.edu; Office: (386) 323-8288. Embry-Riddle Aeronautical University, the world’s largest, fully accredited university specializing in aviation and aerospace, is a nonprofit, independent institution offering more than 80 baccalaureate, master’s and Ph.D. degree programs in its colleges of Arts & Sciences, Aviation, Business, Engineering and Security & Intelligence. Embry-Riddle educates students at residential campuses inDaytona Beach, Fla., and Prescott, Ariz., through the Worldwide Campus with more than 125 locations in the United States, Europe, Asia and the Middle East, and through online programs. The university is a major research center, seeking solutions to real-world problems in partnership with the aerospace industry, other universities and government agencies. For more information, visitwww.embryriddle.edu, follow us on Twitter (@EmbryRiddle) and facebook.com/EmbryRiddleUniversity, and find expert videos at YouTube.com/EmbryRiddleUniv.